Conversion Van Cover, Class B RV Cover. Fit Standard Wheelbase, 226'' Long 86'' High top van. Conversion Van Cover fit Standard Wheelbase, High Top Van. 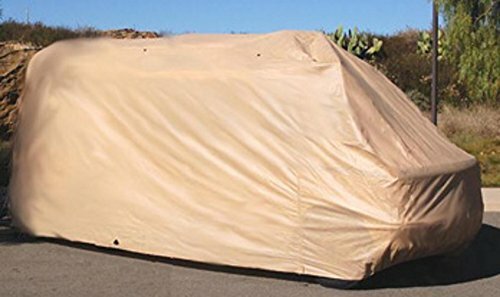 This cover offers outstanding protection against the elements. Zippered access to front and rear doors.